Whilst many of the F1 championship battles were concluded before the end of the season, there was still plenty to fight for between team-mates. Some had secured their Formula One futures earlier in the year, whilst others still had a battle on their hands to prove that they still deserved a place in the sport. So who managed to round off their campaign with a flourish, and which drivers were left begging for the season to end? Here are the verdicts for the final third of the season, to give us the final JAonF1 team-mate battle results for 2018. A man capable of demonstrating driving racing abilities on both ends of the spectrum, Romain Grosjean spent the second half of 2018 clawing back some pride against his fast-starting team-mate Kevin Magnussen. He managed to claim qualifying honours over the course of the season, but the damage was already done in the points standings; 56-37 to Magnussen. Haas themselves have been left to regret the driver and operational errors that have cost them fourth place in the constructors' championship, but overall the team will look back on 2018 with pride, having taken by far their best result. One of very few teams to keep the same driver line-up for next season, Haas will be desperate for more consistency if they're to finish ahead of the likes of the ever-climbing Renault, a McLaren team striving for resurgence, or a Force India/Racing Point team with fresh investment. Whilst Renault haven't quite had the headline-grabbing individual races that Haas (1 x 4th places), Force India (Baku podium) or Toro Rosso (1 x 4th place) have, their consistency is what has won them the 'class B' honours in this year's constructors' championship battle, only failing to score on four occasions. 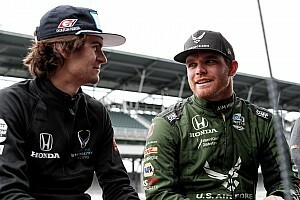 Nico Hulkenberg has seen off highly-regarded team-mate Carlos Sainz over the course of the year, enjoying the better qualifying performances since the summer break. However, Sainz's put in some strong race performances after being confirmed as a McLaren driver for 2019, reducing the points gap to sixteen points. For 2019, Hulkenberg faces one of his toughest F1 challenges to date. With Daniel Ricciardo joining him at Renault next year, he has a big chance to reignite his reputation by - at the very least - matching a driver who's regarded as one of the best racers on the grid. With Red Bull destined to do no better or worse than third place in the constructors' championship, the tail-end of their season had a rather 'experimental' feel to it as they targeted individual race wins, picking and choosing when to use the riskier power unit upgrades, which weren't even used by the Renault works team as they couldn't guarantee their reliability. Reliability problems - from Renault and Red Bull - hampered the team at various points after the summer break, with the lions' share of the issues coming in Daniel Ricciardo's half of the garage. Over the final eight races, only four events had both Red Bulls contesting the entirety of qualifying without gremlins - Singapore, Mexico, Brazil and Abu Dhabi - which resulted in qualifying being split 2-2. If we're being strict about comparisons between the two, then there are only two events where both Red Bull cars had clean qualifying and races; Singapore and Abu Dhabi. Max Verstappen finished ahead in both of these and was ahead of Ricciardo in Mexico before the Australian had a cruel hydraulics failure. Ricciardo received a post-qualifying grid penalty in Brazil, which hampered his race against his team-mate. Verstappen had a great run of form in the final stages of this season; as well as claiming the Mexican Grand Prix victory, he was unfortunate to be taken out of the Brazilian GP win, and he finished on the podium in six of the final eight races, whilst Ricciardo was unfortunate not to end his Red Bull career without a podium since his Monaco Grand Prix win. Ricciardo gave a timely reminder of his one-lap pace with Red Bull's final pole position of the season in Mexico, but his departure to Renault means that Pierre Gasly will be given the tough task of coping with feisty Dutchman in 2019. 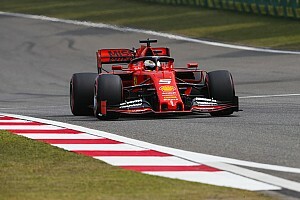 Despite Kimi Raikkonen taking Ferrari's only pole position in the final eight races, Sebastian Vettel has unquestionably been the faster driver in qualifying over 2018, with the four-time champion generally being undone by unforced errors in the race. Spins in Italy, the United States and Japan made Hamilton's path to the drivers' title easier, and Vettel will be left to rue the mistakes which have littered his season. Despite generally falling short of Vettel's pace, Raikkonen arguably enjoyed his best season since his return to Ferrari in 2014. 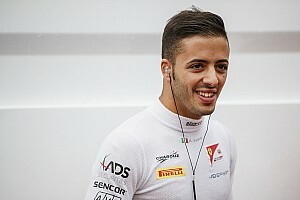 As well as still being Ferrari's last world champion, he leaves the team as their last pole-sitter and race-winner, departing the team to swap seats with Ferrari academy driver Charles Leclerc. The Scuderia will be hoping Leclerc will put a bit more pressure on Vettel and help push the team on to challenging for higher honours next year. Not looking to hide from his win-less year, Valtteri Bottas has described 2018 as his "worst season" in Formula One. Having been denied victories on multiple occasions at venues such as China, Azerbaijan, Austria and Russia, Bottas has also had a huge slice of bad luck which has made his performances look worse than they are. Despite this, he's been completely unable to mount a regular challenge to championship-winning team-mate Lewis Hamilton. 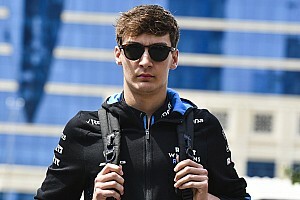 He should really have taken at least third place in the drivers' championship, but instead finished fifth behind Ferrari's Kimi Raikkonen and Red Bull's Max Verstappen, who spent the first part of the year unable to string two clean races together. On the other side of the garage, 2018 turned into one of Lewis Hamilton's most successful seasons in his career; eleven wins, eleven poles, 408 points and a championship-winning margin of 88 points over rival Sebastian Vettel. When Hamilton was eight points behind in a hard-fought contest after round ten at Silverstone, it seemed difficult to comprehend that he would win the title with two races to spare, winning eight of the final eleven races. Of the drivers mentioned in the article, who has impressed/disappointed you the most this season? Leave your comments below.